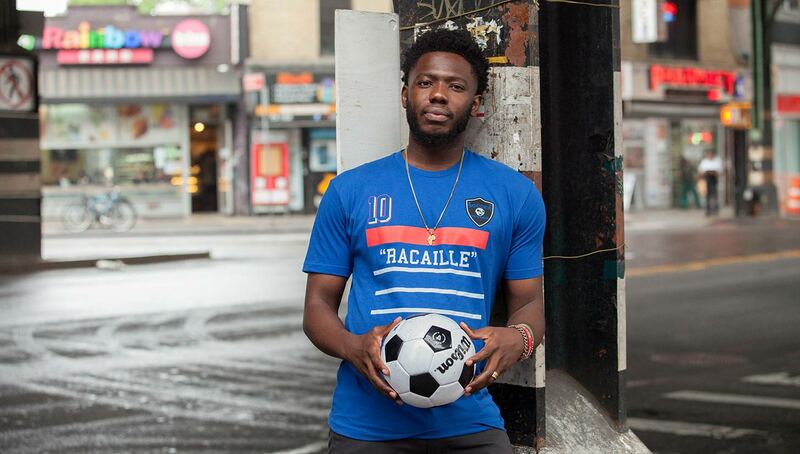 Released just in time for France’s appearance in the World Cup final, the Soccer Senseis “Racaille” shirt pays tribute to the successful (but not always pretty) history of French football. 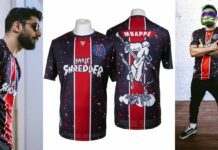 On Sunday, France will have a chance to win their second-ever World Cup, 20 years removed from the magical 1998 run led by then-budding superstars Zinedine Zidane and Thierry Henry. 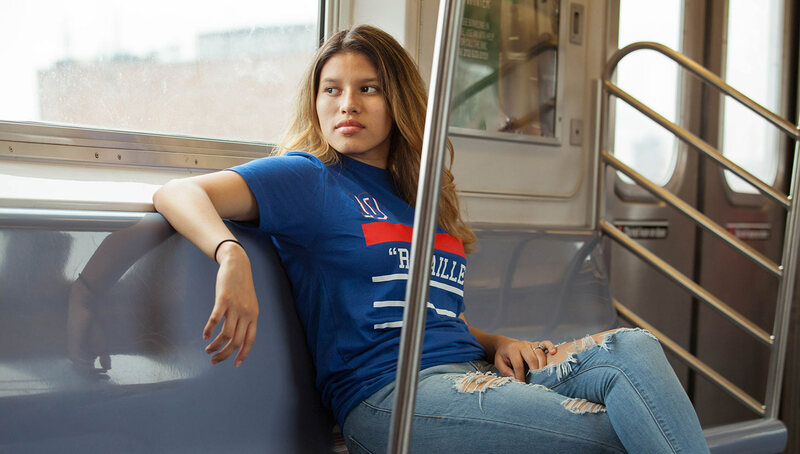 The 2018 squad draws several parallels to the 1998 championship winners, not just from their load of young talent, but also from the amount of multicultural and multiracial players on their roster. 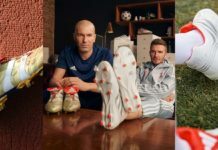 France has had a history of diverse players on its national team — its two biggest-ever stars Zidane and Henry respectively of Algerian and Antillean descent — although they didn’t always get the full credit and praise they deserved. Invisible when the team triumphed and the scapegoat when they lost, these players of African, Arabic, and West Indian descent were often referred to as racaille, or scum. 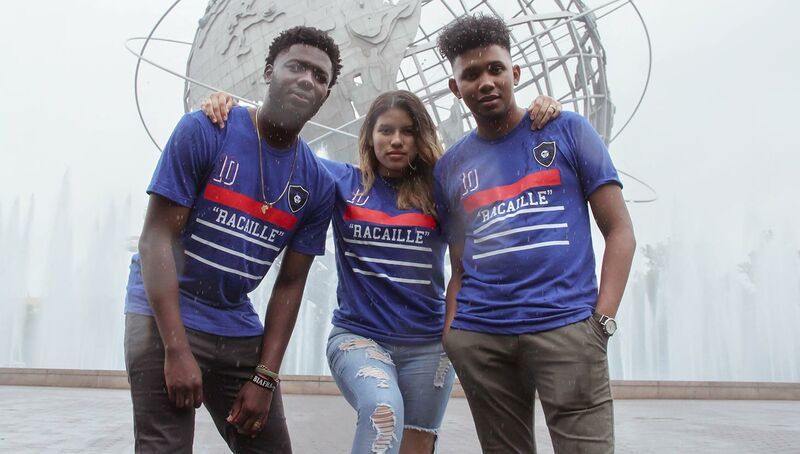 New York-based collective Soccer Senseis has taken this derogatory term and shifted it to one of empowerment, for without the “racaille,” the storied and successful history of French football would certainly be diminished. 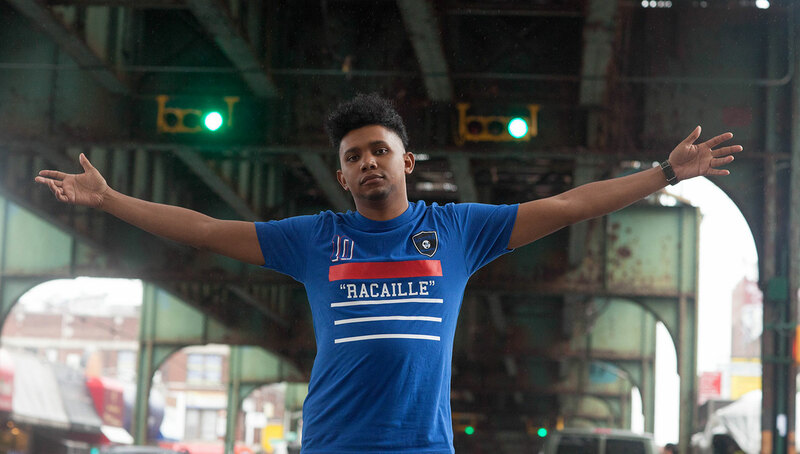 The kit-inspired “Racaille” shirt from Soccer Senseis features elements that recall French national team uniforms of days past, with the same vibrant blues and reds once donned by Zidane and company. 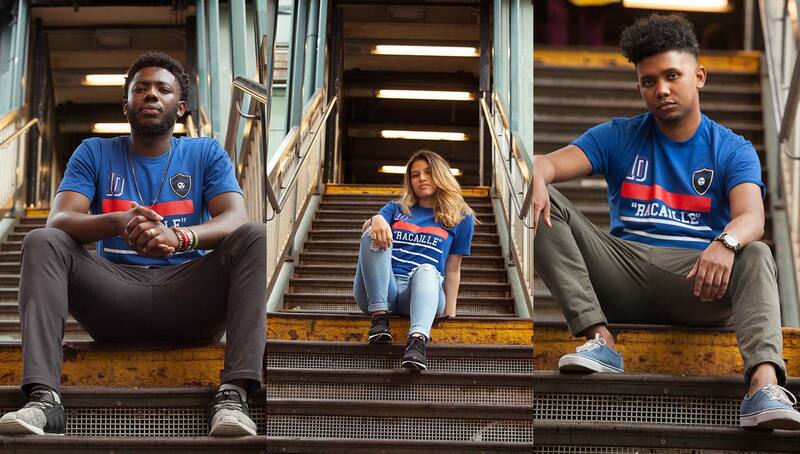 Despite the retro aesthetic, the shirt remains very current, with 12 out of the 23 members of Les Bleus roster — including key players Kylian Mbappe, Paul Pogba, and N’Golo Kante — having African roots. 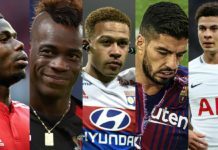 Once again, France is relying on the diversity of its roster to bring home the glory and elation that comes with winning a World Cup title. 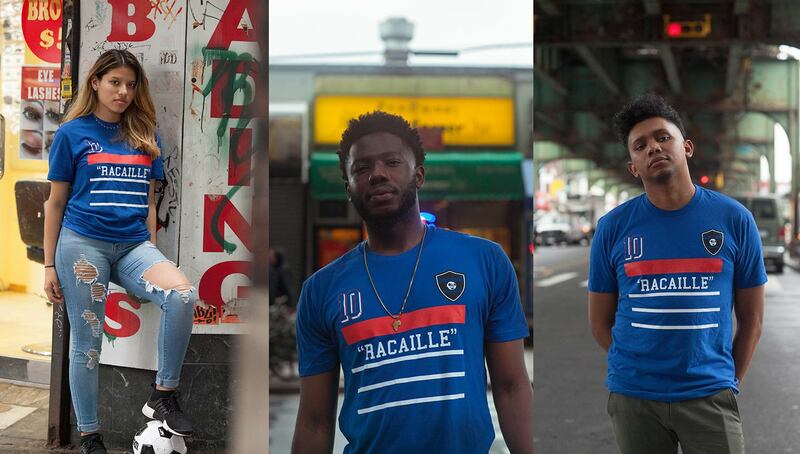 Although the shadows of racism and right-wing nationalism continue to exist, those that embody the spirit displayed through the “Racaille” shirt continue to push the culture forward, leading to not only a better future for football, but for humankind altogether. 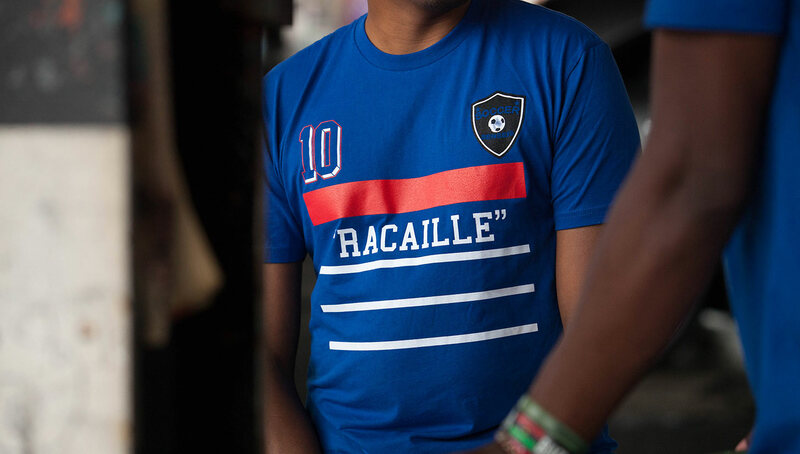 You can pick up the “Racaille” shirt now through Soccer Senseis’ online shop. 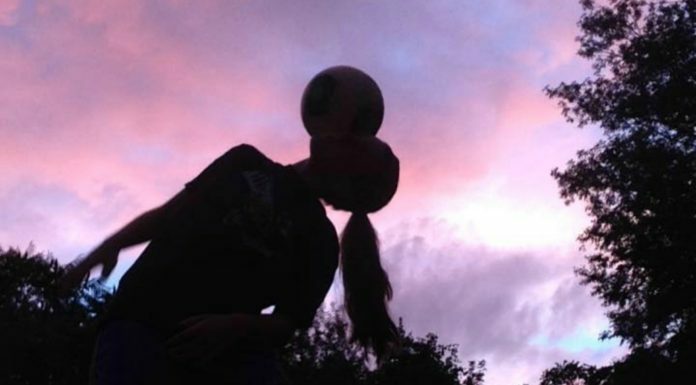 Be sure to follow Soccer Senseis on Instagram to stay updated with their latest news and releases.